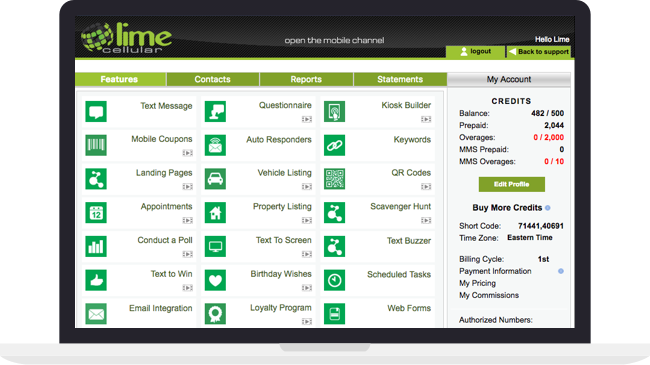 We have a variety of features to choose from to really broaden and expand your business reach and power. Lime Cellular’s broad range of features will allow you to offer a multitude of variety to your customers. From SMS to Property listings give your customers the tools they need to succeed. Get up-to-date information and data on any feature you use. Our Reporting section will break down the effectiveness of your campaigns. Through the use of this powerful marketing tool, customer acquisition and turn around is made simple and effective. A great way for businesses to engage with their customers is through our kiosk builder feature. Show appreciation to your customers on their individual birthdays. Create custom one time use mobile coupons within seconds that can be added to each consumer’s personalized wallet. Create custom responsive websites directly in our drag-and-drop editor and make changes as needed. Send offers, messages, and sales alerts directly to their social media accounts. With our SMS appointment reminder tool, confirm any upcoming appointment with ease. 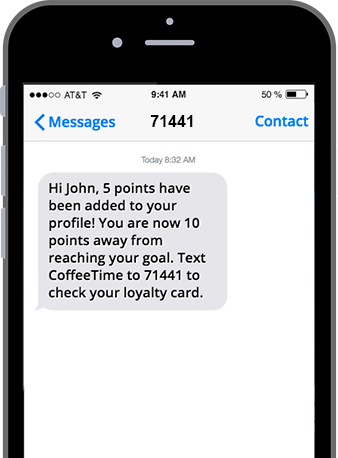 Capture your audience by running an SMS sweepstakes program of their choosing. Ready to get started with Lime?